If you’ve been keeping up with summer trends, chances are you saw two local residents (one of whom is a graphic designer at OC Creative!) getting some national attention and didn’t even realize it! Laura Harcar (Smoltich) and co-blogger Lauren Ondik (Bourdages) made an appearance in Rachael Ray Magazine’s July/August issue due to a twist of fate, some social media luck, and watermelon. Minnidip, which calls itself “the first designer inflatable pool,” ended up in the “On Our Radar” section of the magazine, where Ray features news, trends, and fun stuff like adult kiddie pools. 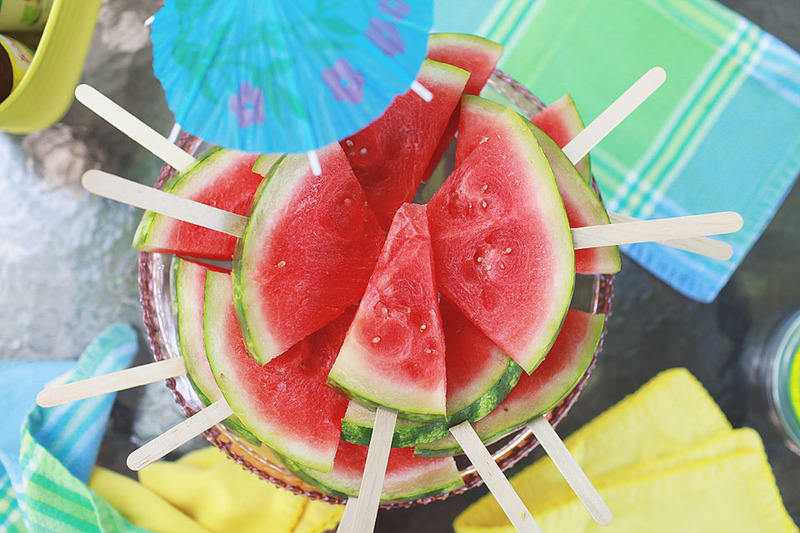 While Laura and Lauren didn’t have any formal affiliation with the company, the image chosen for the magazine was of the two friends lounging in a watermelon-print pool eating slices of watermelon on sticks. Laura and Lauren have known each other since grade school at St. Mary’s in DeKalb and have been best friends and DeKalb townies most of their lives. In 2016 they wanted to do something creative outside their normal jobs, so their blog Laur Lore was born. “With the first four letters of our names being the same, and the focus of our blog being on imparting our wisdom, we thought it was a cute play on words,” explains Laura, who works as a designer for OC Creative. Check out Laura and Lauren’s pool shoot here. And for fun kiddie pools in any season, check out Minnidip.com.